The Law Office is pleased to welcome a new associate, Farheena Siddiqui. Farheena is a graduate of University of California, Los Angeles. She received her J.D. from The George Washington University Law School, where her internships ranged in different substantive areas of law including healthcare and civil and criminal litigation. 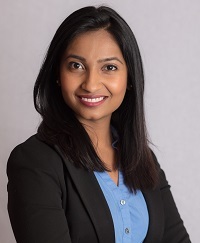 While at George Washington, Farheena participated in the Domestic Violence clinic and interned with Legal Aid, D.C. At the firm, Farheena’s practice is divided between criminal and civil litigation in courts across Northern Virginia. Contact the office today to discuss any criminal and civil litigation needs or to set up an appointment for a consultation.